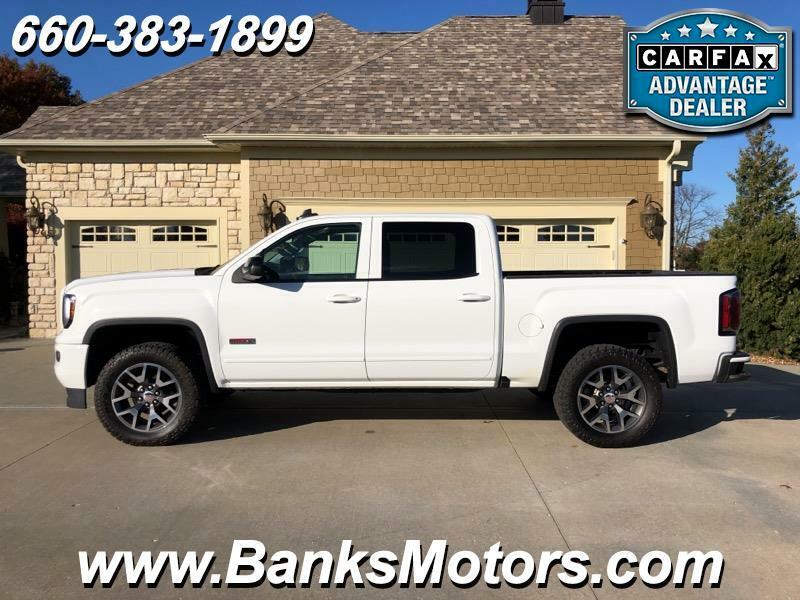 This 2017 All Terrain Sierra is Absolutely Immaculate and brings a Clean Carfax with it! Just Upfitted with BRAND NEW 33 x 12.50 x 20" Toyo Open Country AT Extreme Tires and a BRAND NEW 2.5" Fabtech Leveling Kit! This 4x4 Crew Cab comes with some Very Impressive Features which include....Dual Power Seats, Bose Audio System, Sunroof, Heated Leather, Backup Camera, Dual Climate Control, Adjustable Pedals, Park Assist, Driver Alert Package, Bluetooth, Mounted Audio Controls, Integrated Trailer Brake, GMC All Weather Mats, Tow Package, Spray In Bedliner and so much more! We are located in Clinton, MO, less than an hour southeast of Kansas City! No Games, No Gimmicks, Just the Right Way of Doing Business!